Successfully saved Apple Crumble to your Calendar. You can also save the ingredients to your Grocery List. Easy Cinnamon Apple Crumble is foolproof! 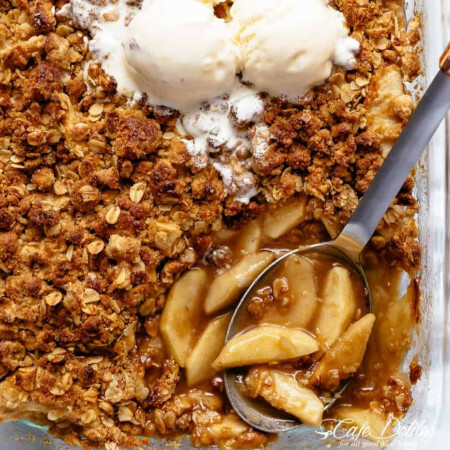 A juicy apple pie filling is covered with a crispy oatmeal cookie-like topping makes this the BEST apple crumble!